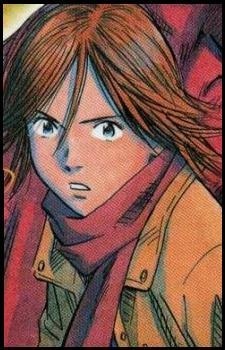 Kenji's niece, she serves as the protagonist for the events in the aftermath of the "Bloody New Year's Eve". She is shown to have ESP at an advanced level, and is capable of predicting the future (To a small extent), bend spoons with her mind, and even once strangled a woman without touching her (in a fit of emotional rage). She loves rock&roll, due to Kenji's obsession with it. She idolizes Kenji despite what the rest of the world thinks of him, and is also quite skilled at the guitar. She lives by herself in a low-rent apartment and works part-time at a small noodle shop in the middle of Thai/Chinese Mafia territorium.